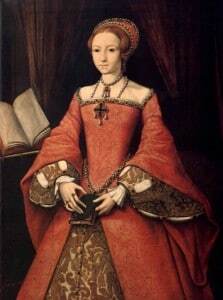 This is Part 19 of Esther Hyams’ series of poems telling the life story of Anne Boleyn. After all, their child and heir would surely be a healthy boy. Preparations had begun for celebration tournaments and games. Awaiting the birth of her son, like Mary in the manger. The windows were covered, the room was almost black. For in 2 weeks time, the Monarchs awaited heir would be due. Long after the coming of the sun and the absence of the moon. For the expected male heir was born a healthy baby girl. But deep inside the King’s heart he felt so numb and hollow. By convention, a queen did this, the news that must be hurled. This must have caused the King and Queen such distress. He thought that this would be the beginning of a golden age. At the news of the future Queen – Elizabeth.